What was the last YouTube video you watched? Perhaps it was James Corden’s Carpool Karaoke or one of Zoella’s lifestyle vlogs. More than likely though, it was neither. You see, in recent years there’s been a subtle but significant shift in what we watch. More and more of us are not looking to YouTube to be entertained, we are looking to be educated. From make-up tutorials to cookery shows, the ‘How to’ video has grown in popularity in the last few years. Indeed searches related to “How to” on YouTube have been growing 70% year-on-year according to Google. YouTube is no longer just a platform of cat videos and Fail Compilations. 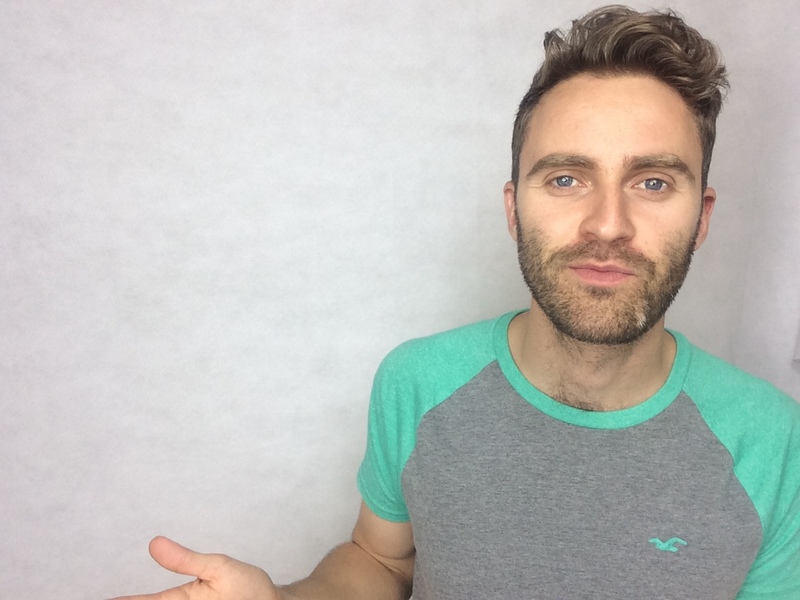 Meeting the global demand for English language learning content is a group of TEFL YouTubers who have made this sizeable niche their own. By delivering consistent weekly lessons in an informal yet stylish manner, they have garnered legions of followers, in some cases over 100,000 people. This success is largely down to the fact that their followers are looking for connection and community just as much as they are looking for language. There is an intimacy and vulnerability to what these TEFL YouTubers do and their audiences respond to that. The YouTube comments section can be a scary place sometimes but in most cases they are a testament to the positive impact these online lessons are having on people around the world. Another reason for the success of English learning content on YouTube is the immediacy and accessibility it offers. No longer do learners have to wait for their next lesson to discover ‘how to say “comfortable” correctly’ , they can do it while waiting for the bus. From Santiago to Shenzhen, learners are devouring online English content autonomously. They are finding a connection with these TEFL YouTubers and making daily appointments with them. The classroom just got a whole lot bigger. 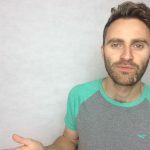 Should all teachers have a professional YouTube channel? It can help showcase your abilities and skills as a teacher. You can build a connection to a loyal audience of language learners. It can be a fun, creative and rewarding experience. It is time-consuming and hard work to produce consistently high-quality content. There are obviously technical issues which one needs to deal with e.g. lighting, sound, editing etc. Thick skin. People behave differently when they are hidden behind a keyboard and some comments can be hard to take. That said, the vast majority are positive and encouraging. 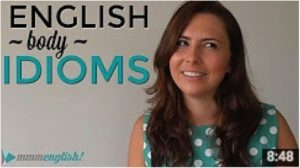 English with Lucy is a stylish channel focusing on British English with lots of useful expressions and pronunciation videos. 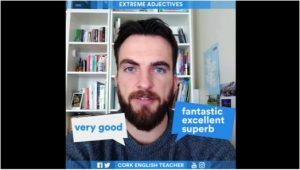 Cork English Teacher releases very clear, easy-to-follow pronunciation and vocabulary videos. Chika is a bilingual vlogger who teaches English to a mainly Japanese audience. Her channel is full of lifestyle videos and travelogs that are driven by her likeable personality. 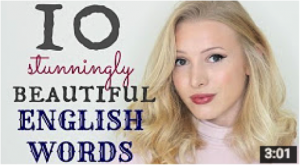 Mmm English is an Australian based channel run by Emma. Her videos focus on cooking, eating and creative ways to practise English. My own channel, Eat Sleep Dream English, mixes modern British English with travel and culture. Think London hipster meets TEFL. Tom Rees has been working in ELT since 2007 venturing across 3 continents. In 2012 he moved to Hong Kong to work for the British Council where he got the DELTA and headed up their myClub programme. He’s currently based in London where he run his own website Eat Sleep Dream English. He’s passionate about online content creation and digital trends for English language learning. YouTube is indeed a great place for students learning English. I am surprised you missed one of the really big names: Mr Duncan https://www.youtube.com/user/duncaninchina/ He has a huge following of Korean students. As a business we also use YouTube to show our grammar lessons. This certainly helps with brand awareness as well as bringing in a little in advertising revenue. For students who cannot afford a real English course, then YouTube is a pretty good alternative. It can be time consuming, but it doesn’t have to be. YouTube have just introduced live streaming from mobile phones. I have a great setup (DSLR, audio, lighting, editing etc. ), but I still make most of my videos on my phone. Going live makes the videos more interactive and is my favorite procrastination killer. If anyone is putting off making videos, I recommend starting with quick videos on Instagram and/or Facebook first. With Instagram, everyone shoots video from their phone and the 1-minute restriction is a positive constraint. From there, you can branch out and make videos on YouTube. Jack knows his stuff! He is good at what he does. Although I work in the ELT profession, my YouTube channel isn’t connected to my job. Nonetheless, within less than a year it’s become a significant part of my life: indeed, I now would go as far as to say that it is my second career. You’d be surprised how much those annoying adverts at the start of videos contribute to your monthly income once you start getting about 10,000 daily views. If this article has piqued your interest, I’m available for further discussion. Hi Tom! Thanks so much for featuring my channel – I’m very flattered! I just checked your channel out and it looks fab – very well produced with lots of original ideas! Starting English with Lucy was the best decision of my life. Every morning I wake up and feel excited to face the day and interact with my students! Another channel that I love is Papa Teach Me (https://www.youtube.com/user/papateachme). Nobody managed to combine English and comedy quite like Aly does! Hey Lucy, you are more than welcome. I wanted to feature channels that I felt added real value to their viewers while at the same time doing it in a stylish entertaining way and yours certainly fit the bill. Thanks for pointing out Papa Teach Me, it looks like another great channel. Just after coming across your post. Thanks for including me and linking my channel. Would be interested in doing a collaboration with you at some stage if you are interested.